Video-to-video linking systems allow users to explore and exploit the content of a large-scale multimedia collection interactively and without the need to formulate specific queries. We present a short introduction to video-to-video linking (also called ‘video hyperlinking’), and describe the latest edition of the Video Hyperlinking (LNK) task at TRECVid 2016. 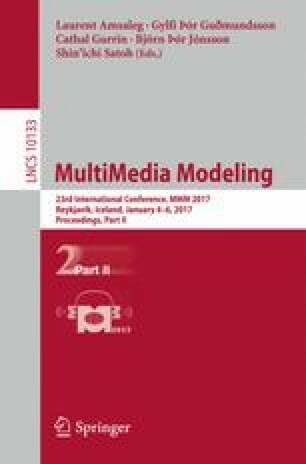 The emphasis of the LNK task in 2016 is on multimodality as used by videomakers to communicate their intended message. Crowdsourcing makes three critical contributions to the LNK task. First, it allows us to verify the multimodal nature of the anchors (queries) used in the task. Second, it enables us to evaluate the performance of video-to-video linking systems at large scale. Third, it gives us insights into how people understand the relevance relationship between two linked video segments. These insights are valuable since the relationship between video segments can manifest itself at different levels of abstraction. This work has been partially supported by: ESF Research Networking Programme ELIAS (Serwah Sabetghadam, Maria Eskevich); the EU FP7 CrowdRec project (610594); BpiFrance within the NexGenTV project, grant no. F1504054U; Science Foundation Ireland (SFI) as a part of the ADAPT Centre at DCU (13/RC/2106); EC FP7 project FP7-ICT 269980 (AXES); Dutch National Research Programme COMMIT/.